Lice clinics of America serves the Greater Philadelphia and Delaware Valley areas – providing a warm, comfortable and kid friendly environment for lice removal. 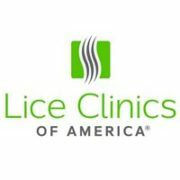 The clinic is the exclusive local provider for Lice Clinics of America whose flagship product is the FDA-cleared AirAllé® device. ** The AirAlle uses controlled, heated air and is clinically tested and proven to be the most effective lice removal treatment option on the market.